1. All families can register beginning February 3, 2019, at our Open House. Registration must be completed with a $230 registration fee per family. 2. Applications for enrollment will be accepted in order of time and space according to the criteria established by the Parish Finance Council. 3. NEW – For first time families only, tuition assistance can be given through our Hopes and Dreams fund. Click here to learn more about how the Hopes and Dreams Fund came to be. For current families that are practicing members of St. Francis of Assisi Parish, we do offer scholarships/need-based tuition assistance. Also, the Diocese of Lansing offers scholarships for students entering grades six through eight. For further information contact us at school@ stfrancisaa.org. *In-Parish tithing will be $30.00 per week or $130.00 per month. 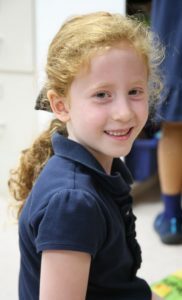 St. Francis strives to keep the tuition affordable for those families that desire a Catholic education. We offer very competitive tuition rates compared to other private or parochial schools in Ann Arbor. Please feel free to contact the school at 734-821-2200 if you have any additional questions or wish to arrange a personal tour.